"Learn about the Nem blockchain and what its designed to do, its important features and how XEM coins are used." Now, most people first learn about NEM from the list of top cryptocurrencies against media coverage, because it's been popular with investors. But what made investors so interested? It's because NEM is more than just a coin, it’s a system for putting businesses on blockchain. NEM is a blockchain data platform, so when people talk about Bitcoin they might be referring to the currency or they might be referring to the network that is used to treat the currency. In this case, the currency is called XEM and the network is called NEM. The NEM network can do more than just send currency it handles all kinds of businesses data such as legal documents, energy usage, supply chain, stock, real estate titles and cryptocurrencies. For example, right now the Japanese Ministry of Agriculture is tracking shipments of wild game meat on the NEM blockchain. This ensures a completely transparent sequence custody that allows the buyer to know where the meat came from, how long it was in transit and who prepared it. Now there are a few another blockchain with similar networks but none of them is as easy and fast to use. NEM’s goal is to be the easiest and safest way for companies to get into blockchain technology. Programmers love it because they can use any programming language to create NEM apps and it works with existing company networks. Other blockchains are asking companies to rebuild their network which is slow, expensive and also introduces the risk of bugs or hacks. These networks have programmers who are stressed out in wondering did they do enough for safety testing. The NEM network interfaces instantly with your company's databases using API’s and it's never been hacked or compromised. Proof of importance (P.O.I) is NEM consensus algorithm, now this is the formula that determined which transactions are legitimate and who gets the reward for processing them. It gives everyone a score on how much their behaviour benefiting the network. It also rewards people for sending and receiving coins instead of just hoarding them and it also uses less electricity than Bitcoin. Delegated harvesting is NEM’s version of mining so instead of running a mining server you can let someone else's remote server borrow your important score and do the processing for you. Your account information is never exposed to them. You also get some of the coins that their machine earns and that means you can harvest and earn coins even if your computer is off or when you are sleep. Namespaces are used to establish company identity on the network just like a web domain. A company like Apple could establish their own name on the NEM network and if you then get a message or payment request from Apple namespace you would know it came from them, and you can have confidence that you were sending payment to the right party. This is amazing because most other blockchains don't have this basic features as NEM does. Mosaics are the built-in way to create digital tokens so you can use it to represent company stock, votes or even create your own cryptocurrency with no programming. We talk to companies that said NEM allow them to set up their coins for their ICO with less than an afternoon of work. 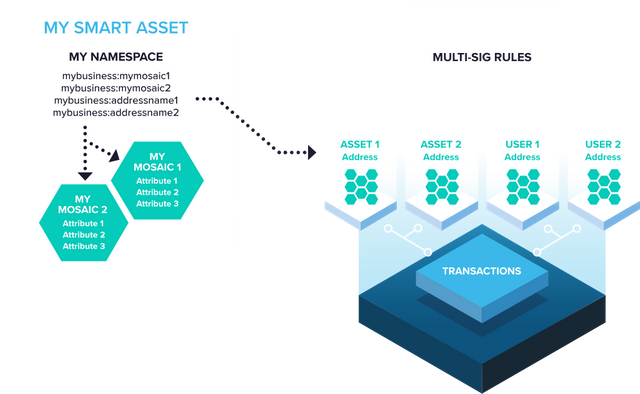 Multi-signature account is another important business feature that is built into NEM, so you can setup your company's account so that any payments require multiple people to approve it before it's signed. About this, anyone with access to an account could empty it without the consent of others, this is actually a major problem with other blockchains. 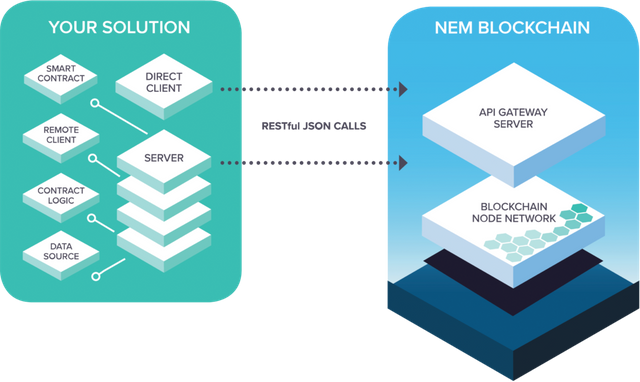 Multi-tiered architecture makes sure NEM is always fast and scalable. NEM separates smart contract code from the Blockchain so the only critical data is the one taking up network space, the high-speed back super node taking care processing transaction so most users never have to download the blockchain. NEM transaction times are 60 seconds or less and they've never had to slow down. 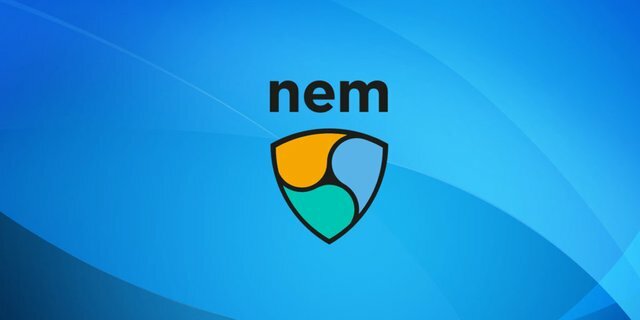 NEM cryptocurrency it's called XEM and any time you use the network you have to pay a small transaction fee using XEM. So more active the network the more demand there's going to be XEM. You can buy XEM on exchanges like Bittrex, PolonieX, Binance and many others you then downloaded it to the Nano wallet from the nem.io website and send the coins from exchange to your wallet. If you have more than 10,000 XEM coins you can start harvesting right from your own wallet. What is MIJIN, NEM has a private version of it network it's designed for internal company use and it's called MIJIN. This allows companies to set up blockchains on their private internet to use for tracking inventory, managing customer reward points across different departments or real-time automate accounting. Since the internet is not exposed to the same types of attack as the public blockchain. MIJIN has been optimised for speed and ease of use. It has been successfully tested to process over 4000 transactions per second across a million accounts. The NEM foundation is registered in Singapore and the development in the management team is distributed all throughout Japan Australia Europe China Malaysia and also the United States. NEM foundation managers in a multimillion-dollar fund for groups that want to build new products on the NEM blockchain. Members of the NEM community get to vote on which products to approve on. NEM has active local communities everywhere but it's especially popular in Japan where it's the number 2 most traded coin after Bitcoin. If you'd like to learn more I invited to join the NEM community.